How to add Slack users to Jibble or enable self-onboarding? So assuming the user you want to add is already in Slack itself (i.e. you invited and signed them up already). You can start inviting your users to Jibble by using the Jibble bot's "invite" command. You can invite an individual or all of the people who haven't been added to Jibble yet. See more under the "invite" command in this article: What are all the Jibble bot and slash commands? 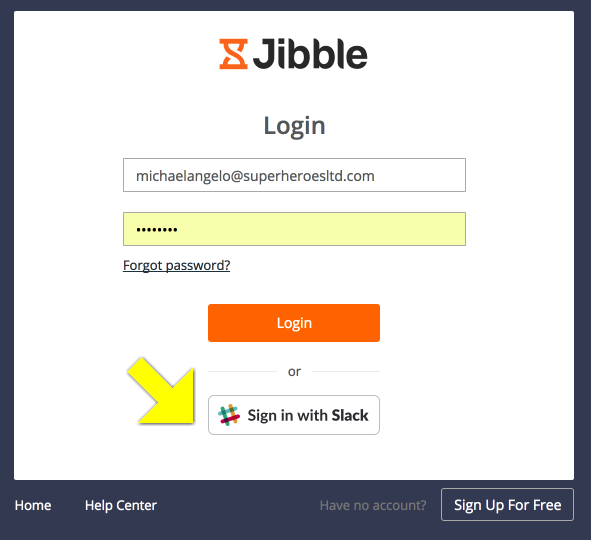 These Jibble users can then Sign in via Slack to use the Jibble web app (app.jibble.io) to view their timesheets in detail or make manual time entries.